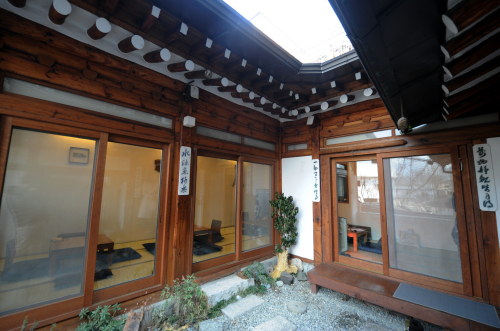 Light sends soft rays through the floor-length windows of Ga Hwa Dang, a traditional Korean hanok-turned-teahouse located in Samcheong-dong, Seoul. Behind the counter, manager Kim Yu-ri painstakingly prepares the establishment’s brews. Surprisingly enough, less than half the 19 teas on the menu are leaf-based. Instead, a majority are made with fruit, roots and seeds. “Traditional (Korean) tea is incredibly tasty and healthy,” Kim explained the impetus behind her interest in the wide variety of fruit-and-plant beverages characteristic of Korea. While tea generally refers to green and black teas made from Camellia sinensis leaves, in Korea the term encompasses a broad range of brews. Green tea did have its heyday during the Goryeo Dynasty (918-1392), but, according to Lee Hyo-ji’s “Food Culture of Korea” (Shinkwang Publishing Company, 2001), its prevalence diminished with the suppression of the Goryeo state religion, Buddhism, during the Joseon Dynasty (1392-1897). With the rise of Confucianism came the development of beverages brewed from fruit steeped in honey and various medicinal roots and plants. The creation of new punches and teas were also influenced by the growing focus on curative and health-giving foods during the period. Such practices remain a part of Korea’s tea culture, where, even today, artisans continue to develop new tonics and reinterpret classic drinks. 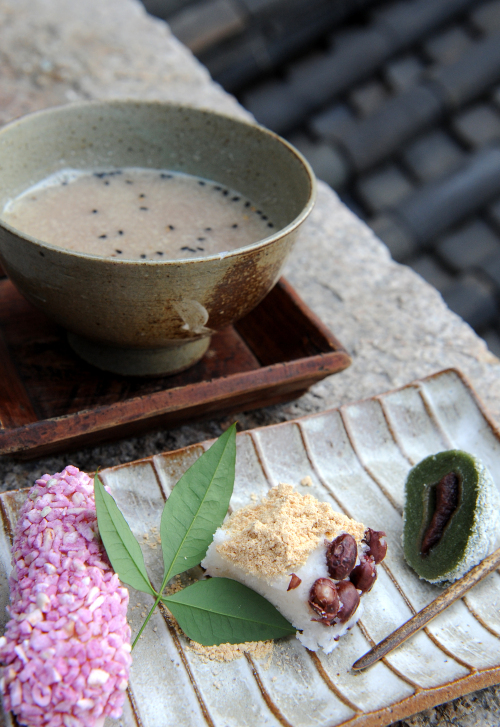 At Ga Hwa Dang, wild sesame tea ― customarily enjoyed as a no-frills beverage of ground wild sesame seeds and hot water ― has been revamped into a decadent yet wholesome beverage. Garnished with black sesame seeds and jazzed up with red bean paste, the drink is incredibly nutty, rich, and textured and sweetened by the beans. 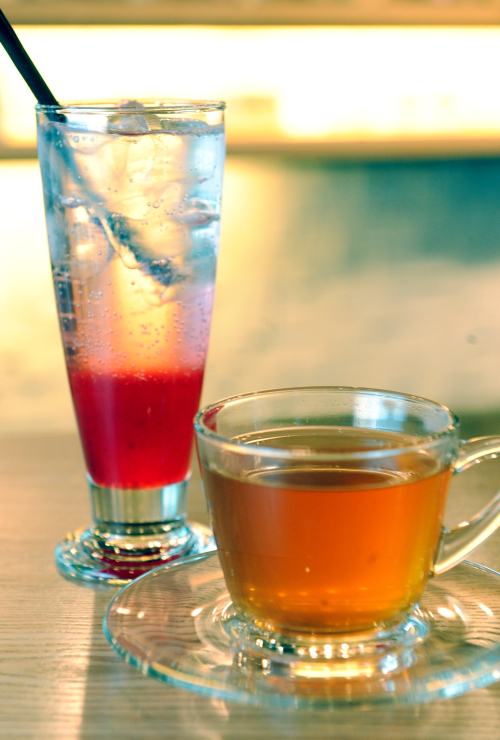 Other drinks include tea made from bokbunja (Korean black raspberries) and quince. Quince tea ― a sweet and fragrant brew ― is commonly believed to help prevent colds, while, according to Kim, bokbunja tea ― done up velvety and rich at Ga Hwa Dang ― helps reduce fatigue. Another specialty is Ga Hwa Dang’s pumpkin sikhye, which delights with its bright orange hue and naturally sugary, caramel-like flavors. According to “Food Culture of Korea,” sikhye ― a fermented punch made from rice and malt ― was first recorded in 1740. “We are also currently developing sikhye made with fresh yuja (citron) or quince,” Kim revealed. Ga Hwa Dang is not the only establishment to specialize in both traditional and inventive brews. Owner Oh Sook-kyeong concocts classic omija (Schisandra chinensis) and maesil (Japanese apricot) teas along with modern pumpkin and grain-based lattes at Damjang Yeop-e Gukhwa Kkot in Seorae Village, Seoul. digestive. The omija squash (back) is a refreshing and tart tonic. “We do fusion to target young customers,” Oh explained. 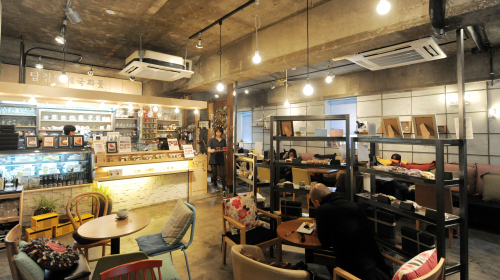 The spacious yet quaintly done-up tteok cafe does indeed seem to attract a youthful crowd. On a weekday afternoon, groups of young men and women are busy enjoying their drinks and Korean desserts while regulars flit in and out for some tea-to-go. At a time when coffee has become a staple of the Korean diet, it might be surprising to see how well caffeine-free drinks are selling at places like Damjang. Part of the allure of Damjang, however, is its wholesome vibe, an attitude that appears to be in sync with Korea’s “well-being” movement. The menu, in particular, highlights the health benefits of Damjang’s fare. For example, omija tea is described as a tonic that is good for coughs and one’s kidneys and brain. Hallabong honey tea is lauded for being good for one’s skin and also for preventing colds. Maesil tea is said to be good for your digestive system. Such descriptions enable customers to pick their beverage of choice, many of which are made in-house. The resulting golden-hued maesil tea is highly aromatic and ideal as a post-meal digestive. Damjang’s jujube tea, which the menu says helps warm up one’s body, is simmered for about eight hours to a day. A deep ruby-brown and garnished with pine nuts, the hot beverage is sweet and fortifying. The tart yet sugary omija squash ― a combination of sparkling water and an extract made from the red berries ― acts as a refreshing tonic. Located in Samcheong-dong, Ga Hwa Dang is open from 1 p.m. to 8 p.m. on weekdays and till 9 p.m. on weekdays. It is closed Mondays. All teas cost 8,000 won and come with complementary Korean cookies and rice cakes and mugwort tea. For more information call (02) 738-2460. Located in Seorae Village, Damjang Yeop-e Gukhwa Kkot is open from 9 a.m. to 11 p.m. on weekdays and from 10 a.m. to 11 p.m. on weekends. Beverages cost around 6,000 won to 9,000 won. Take-out for teas like jujube, omija and maesil cost around 3,000 won to 5,000 won. For more information call (02) 517-1157 or visit www.ddeockzip.kr.